Wow. 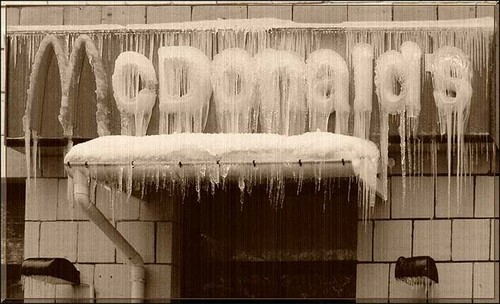 Wear a jacket if you're going out for burgers at this place! Hip, Hip, Hooray for Bar Refaeli! The Israeli model is 28 years old and she's achieved so much already, so, so much -- if you needed reminding of just what that is, and there's no doubt that you do, then look no further than this incredible compilation. Sick of having to reformat your PC every week? This game shows all you need is a laser cannon on top of your monitor! The 'Isle of Man' TT features some spectacular motorcycle racing, it's a place where champions are made and memories forged forever -- at least, that's what it looks like from this awesome video of awesome stuff happening. Just awesome. I guess the army's budget isn't as big as it should be after all. The guy who sold it to him offered him a free replacement policy, however. Hop right in and play the latest pong!